Okay, first, I just want to say that whatever I will write down here, is all of my thought, and I feel sorry if there are any of you of my words that disturb you, cause it`s just my whole opinion. It`s about our SS501 leader`s decision to get out from DSP and choose KEYEAST as his new management. I know that it must be a really shocking news for everyone. All though there were several news about leader`s end contract and any option that lead may choose, everyone were very sure that lead will keep going with DSPent, so it is a real shocking news, even for me. When the 1st time I read this news, I was so sad. Don`t ask me why. You know how`s the feeling, rite? But it happened until I got in the part where KEYEAST people said that lead still can join SS501 and had their activities together. That was really calmed me down 🙂 Yeah, if our Hyun Joong leader is still can be SS501 leader forever, who cares which entertainment he belongs to? I mean for TripleS! We all know that what TripleS want is SS501, right? It`s not about DSP, not about the entertainment, but TripleS is about loving SS501! And SS501 are our Kim Hyun Joog, Heo Young Saeng, Kim Kyu Jong, Park Jung Min and Kim Hyung Jun. They are what we called as SS501. So, whatever their companies are, as long as they are still SS501, or even as long as they are still the way they are, TripleS will support them, right? TripleS are supporting SS501 no matter what! Well, this is just what I think, sorry if any of you think the other way. Yesterday I found a bashing comment in my blog from someone whom I thought as TripleS. In the article about our leader move to KEYEAST she commented that she hate leader, she hate Kim Hyun Joong. Now I want to tell you, please, do not blame him for all of this! I mean, we know him right? We know that he is someone that will not do something without thinking. I am sure that our leader must been thought about this for such a long time already before he took this decision. He knows what is the best for himself. Then how about SS501? I am still not sure either about SS501 case, because no one of us that already got trusted info about will our Saeng, Kyu, Min and Jun stay with DSP or not. DSP said that they are still discussing with other members about their contract, so no one can be sure about this right now. I am curious myself. I am waiting for DSP clear confirmation so badly too. So, before everything is clear, do not assume everything on your own thought. We should not assuming by our self. On the other side I do think about another member`s feeling too! I mean, I know that it must be hard for them to be separated after 7years they had trough together. I do worry about them! I do afraid about them too! Sorry for being bias, but I really do afraid so much with Kyu`s feeling. Remembering the last Newton Concert, how they were crying, I do think that at that time, all of them, 5 of them had already know about this. I don`t know why, but I think about it that way! Our leader must been talk with 4 of them before he took this decision. We know that our leader not that bad until suddenly leave them like many non-TripleS think. He is not that bad! And what can we do now? Wait and Pray! Yea, I just can think that way. We just can wait for further information about SS501 career from DSP, and praying hard that the final decision will be the best decision for everyone. Like what Chy unnie said on twitter, “Pray for the best, Prepare for the worst”. I know the last part seems hard, but that`s the truth! That is so TRUE that we have to prepare for the worst. I will not say it directly, but all of us know what does it mean by “The Worst” right? Just prepare ourselves to hear anything. The great or even the bad news. And even If until the worst happen*I pray hard that it will never happen, lets just pray*, me, myself, will keep supporting all of them, 5 of them wherever they are, whoever they are then, whatever they will do, in a group or individually, because for me, all, 5 of them are still part of SS501, which is part of My Life. And I do believe and love SS501 no matter what. 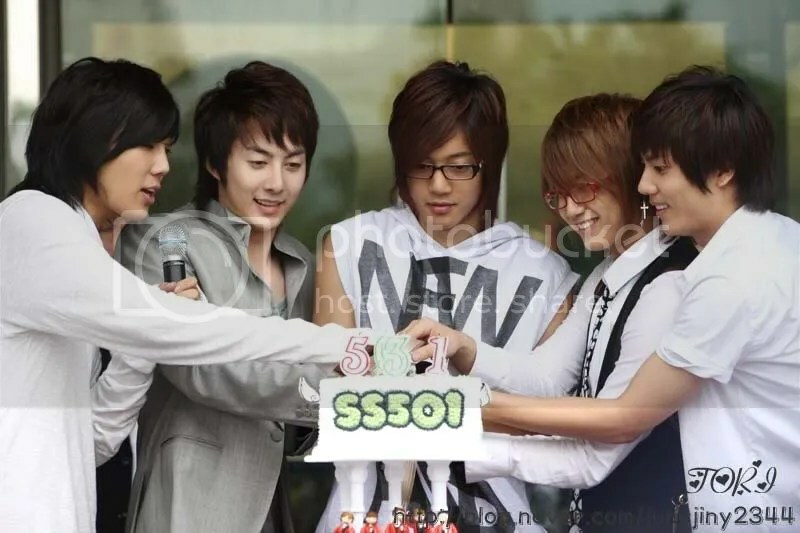 This entry was posted in SS501 and tagged DSP, Fangirl, Heo Young Saeng, Kim Hyun Joong, Kim Hyung Jun, Kim Kyu Jong, Park Jung Min, SS501, TripleS on June 30, 2010 by Dee Ciptasari.